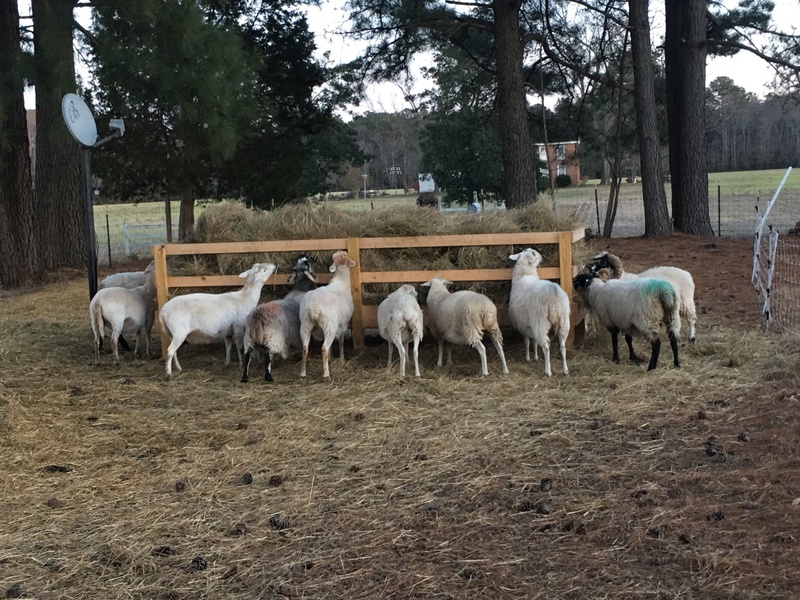 Our main goals at Pickwick Fields in raising sheep are producing good meat lambs, raising good replacement ewes and rams for sale, training our working border collies, and our own personal enjoyment. Above everything else the health and wellbeing of our sheep and sheepdogs come first. We raise registered and recorded Katahdins through the Katahdin Hair Sheep International (KHSI), as well as commercial Katahdin crosses based on our production needs. Katahdins were originally developed in the 1950’s in Maine by The Piel Farm. They were bred for meat production, lack of wool, and parasite resistance. In our region, their summer heat resistance is a benefit, and we do save on feed by not needing to “feed the fleece” – a real impact with the Cotswold ewes we started with years ago (though their meat was delicious). 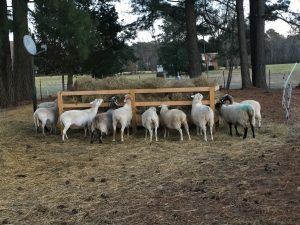 We’re adding registered Scottish Blackface sheep as well, starting with a wonderful ram from Braeburn Farms in Roseland, VA. The Scotties are a new sideline for us, as we missed having woolies around, and their crosses have also proven very hardy in our region. We plan to keep a small Scottish Blackface line, and experiment with hair crosses to see what works best here. Along with the 7 purebred Katahdin sheep, we currently have 2 purebred Scottish Blackface ewes, 2 Suffolk/Scottie crosses, and two Scottie/St. Croix crosses. 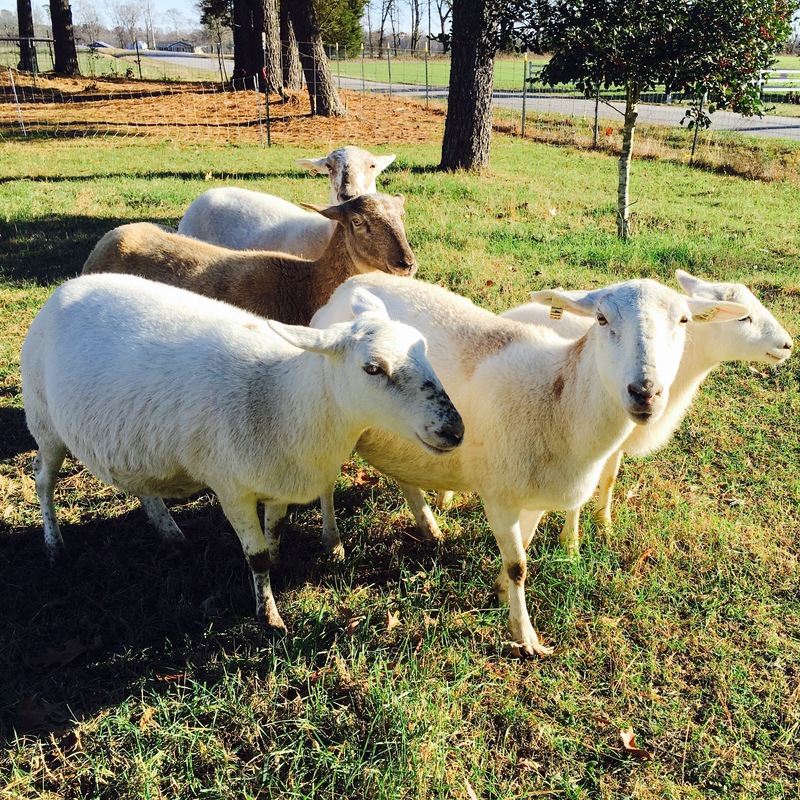 The other four ewe lambs we have are from commercial Katahdin ewes and our recorded Katahdin ram. We’re moving our ewe flock towards the Cornell STAR accelerated lambing system. The benefits of the system we see are increased lambs numbers for year-round marketing and increasing production per ewe. 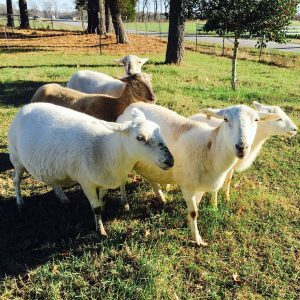 In a flock that’s been selectively bred over time for aseasonal breeding, you can maximize market lambs on a year round basis. Along with aseasonal breeding, we strive for our ewe flock to produce twins as well. We generate data on all of our sheep, rams, and market lambs to be sure we are providing an optimal product for both our clients and local consumers. The data shows us their performance over a season, and we base our breeding decisions on the data we generate. 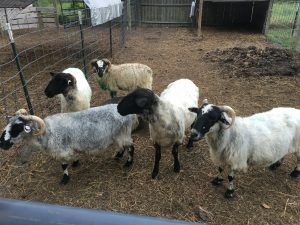 We cull any animal that has problems with worms, misses a lambing cycle, singles (unless the mother is a yearling ewe), and those which require more than minimal assistance when lambing. Ewes which reject their lamb are given a second chance; after second lamb rejection, the ewe is culled from our flock. We cull ewes as well for consistent poor weaning weights (the mother obviously can’t produce enough milk).